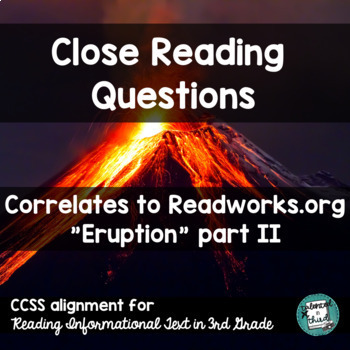 The close read questions included correlate to ReadWorks.org’s “Eruption” Part 2. This passage is all about how a volcano works. It is written at grade 3, lexile 820 level. This makes it an advanced individual read or a class/small group read. 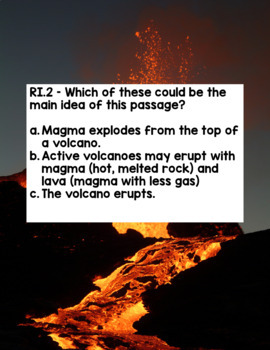 It can be found at: Eruption. For this close read, I only used the third page of the text. 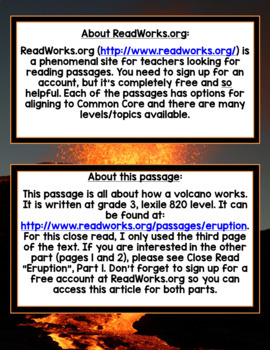 If you are interested in the other part (pages 1 and 2), please see Close Read “Eruption”, Part 1.